Capturing the attention of luxury sedan shoppers, the all-new 2019 Audi A6 returns with a sharper character thanks to acute angles, defined edges and taut, muscular contours found in its signature profile. Cutting-edge lighting technology indicates the future of how drivers see the road with features like LED taillights with dynamic animation and HD Matrix-design LED headlights with Dynamic DRL. The interior of the 2019 A6 offers a minimalistic design layout which is accented with connected tech features to enhance each drive. Proven V6 performance enhanced by a 48-volt lithium-ion battery pack makes the all-new 2019 Audi A6 a compelling option in the midsize luxury sedan segment. If you've been wondering how the all-new A6 stacks up against the competition, you have come to the right place. Our team of experts has assembled this in-depth comparison in which the 2019 A6 goes up against two of its biggest rivals -- the BMW 5-Series and Mercedes-Benz E-Class. Once you see the results, you'll understand why Audi remains the best choice. 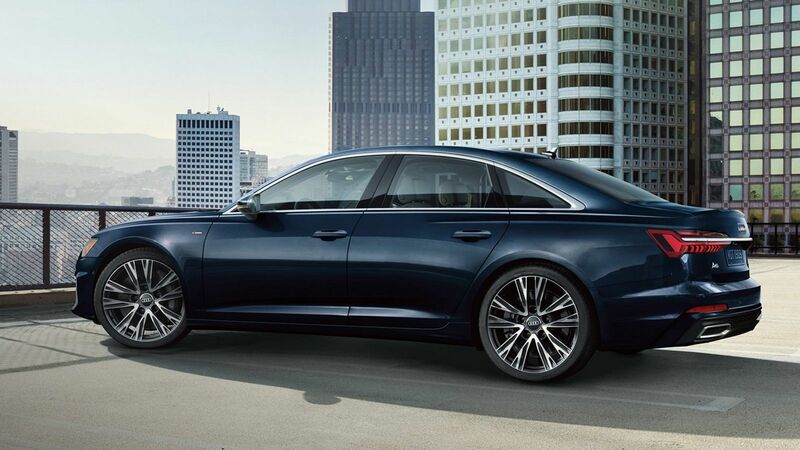 Dynamic all-wheel steering, dual center displays with haptic touch feedback, and 48-Volt Mild Hybrid Electric Vehicle (MHEV) technology with recuperation are just three examples of standard features found on the impressive 2019 Audi A6. You won't find these features on the BMW 5 Series or the Mercedes-Benz E-Class. Audi remains at the forefront of efficiency, technology, and driving dynamics. 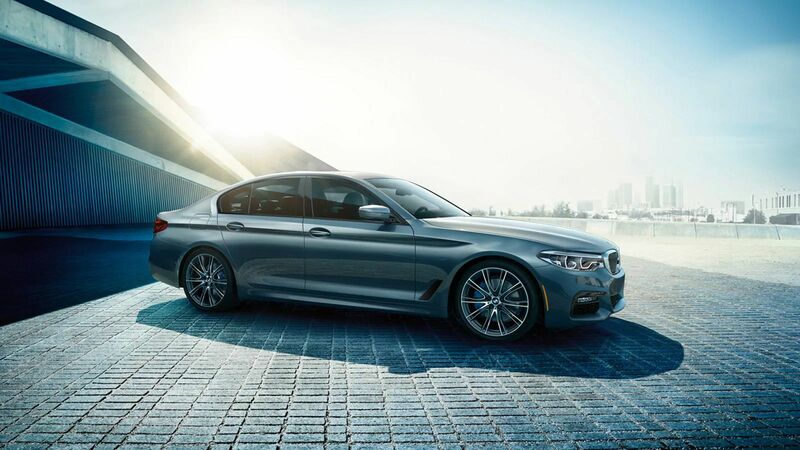 First up to challenge the all-new A6 is the 2019 BMW 530i xDrive. Although both of these sedans have been competing for decades, let's see how well BMW can contend with the reimagined Audi A6. Comparing standard engines and performance figures, the 5-Series is simply no match for the all-new A6. Standard power for the A6 comes from a 3.0-liter turbocharged V6 paired with sophisticated 48-Volt Mild Hybrid Electric Vehicle (MHEV) technology with recuperation. In addition to improving fuel efficiency, this advanced powertrain packs plenty of punch. The 2019 A6 offers 87 greater horsepower along with 111 additional lb-ft of torque as compared to the BMW's lowly 4-cylinder engine. Drivers craving an engaging drive without compromising on fuel efficiency should choose the Audi A6. You'll also receive impressive standard equipment on the Audi A6. For example, front fog lights, smart device-enabled remote start, and 19-inch wheels all come standard on the A6. BMW requires you to shell out additional cash for these premium amenities. While the 5-Series offers push button start from its proximity key, it doesn't function on the doors like the system found on the Audi A6. The interior of the 2019 A6 offers greater refinement and comfort than what's found inside the BMW 5-Series. For example, the A6 offers genuine leather seating surfaces as compared to the synthetic Sensatec leatherette found inside the BMW. Enjoy heated driver and passenger front seats on those chilly mornings inside you A6. Rear seat passengers can stay comfortable as well thanks to separate rear HVAC controls. BMW requires you to pay extra for heated seats and the 5-Series is not available with rear HVAC controls. Another strong rival of the Audi A6, the Mercedes-Benz E-Class is next up in this comparison. For consistency, we've taken the same 2019 Audi A6 Premium and put it up against an equivalent 2019 Mercedes-Benz E 300 4MATIC Sedan. Let's see how these two luxury sedans compare. Once again, it's clear that the Audi A6 holds the advantage when it comes to performance. Choosing the A6 means that you'll have access to 335 horsepower of electrified exhilaration thanks to its 48-Volt Mild Hybrid Electric Vehicle (MHEV) technology. 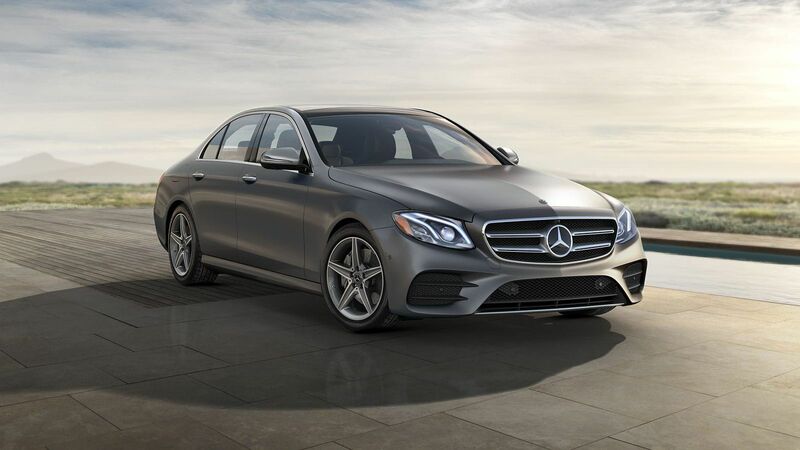 The E-Class is powered by a 2.0-liter 4-cylinder, offering a 94 horsepower disadvantage as compared to the A6. Larger 19-inch wheels help you make a statement upon arriving in your Audi A6. Other standard features found on the A6 include front fog lights, a remote start system which operates via your compatible smart device, and proximity key door functionality. At Mercedes-Benz, these great features are either costly options or not available at all. Looking at interior refinement and convenience, the E-Class is simply no match for the striking 2019 A6. Step inside the A6 and enjoy standard heated leather seating surfaces. The E-Class includes synthetic MB-Tex leatherette and you'll be required to pay extra in order to receive heated seats. Those riding in the back will be able to choose their climate preferences in the A6 thanks to standard rear HVAC controls, another feature which will cost you more at Mercedes-Benz. A greater number of speakers inside the Audi contributes to a superior audio experience. Another strength of the A6 is cargo capacity, offering 5.6 additional cubic feet to help carry all of your luggage on the next weekend getaway. Now that we've tallied the results, the clear winner of this midsize luxury sedan comparison is the all-new 2019 Audi A6. 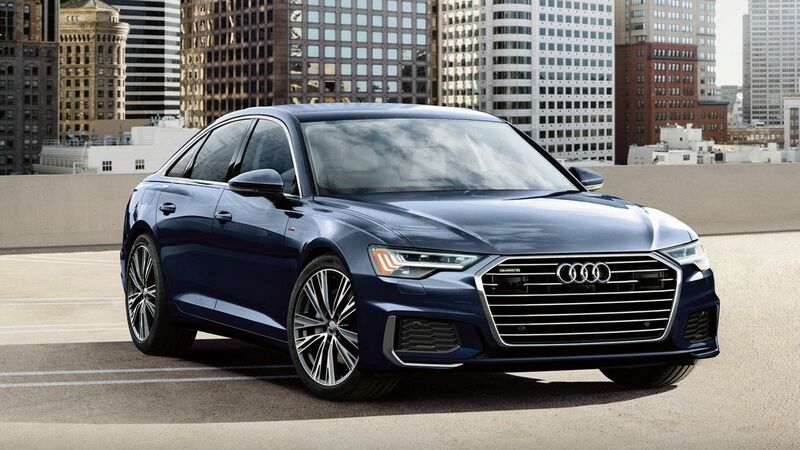 Both the BMW 5-Series and Mercedes-Benz E-Class cannot compete with the inspired performance, premium standard features, interior comfort, and tremendous value found on every 2019 Audi A6. If you're ready to learn more about the all-new A6, our team of friendly and knowledgeable Audi sales professionals are standing by to answer your questions.